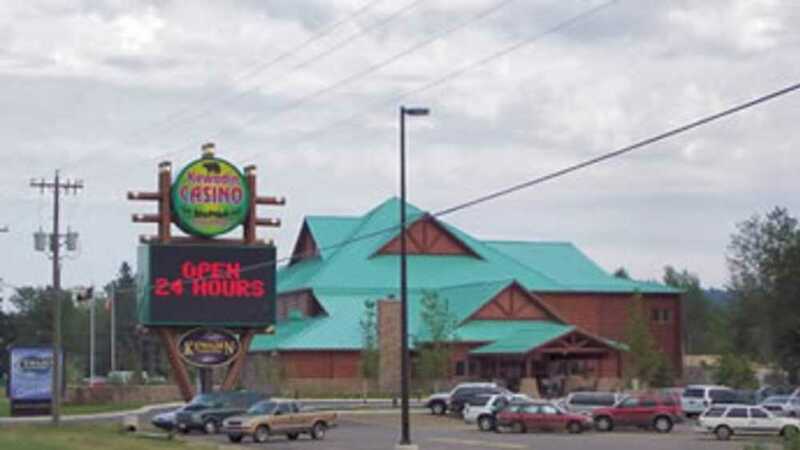 Kewadin Casino, Christmas, is located on M-28 just west of the beautiful town of Munising. The Christmas Casino is open seven days a week. This casino's has an atmosphere that mirrors that of a Las Vegas experience, but with the beauty of the Upper Peninsula. Vegas style gaming includes slots, Blackjack, Let it Ride and 3 Card Poker. Amenities at Christmas include Frosty's Bar & Grill, the Northern Lights gift shop, free parking, and the Northern Rewards Players Club. Other points of interest in the area include the beautiful Pictured Rocks, waterfalls, and extraordinary surrounding nature.